The Royal Army Service Corps (RASC) was the unit responsible for keeping the British Army supplied with provisions. The exceptions were weaponry and ammunition, which were supplied by the Royal Army Ordnance Corps. 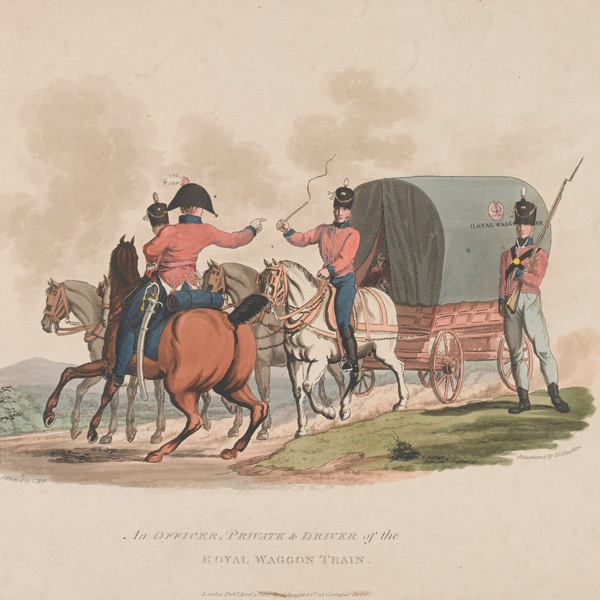 The first uniformed unit to carry out transport duties for the British Army was the Royal Waggoners. Established in the early years of the French Revolutionary Wars (1793-1802) to deliver a service previously provided by civil contractors, the Waggoners experiment proved unsuccessful. The unit was disbanded in 1795, less than a year after its formation. With the French Revolutionary Wars continuing, a second attempt was not long in coming. It arrived in 1799 with the creation of the Royal Waggon Corps, later renamed the Royal Waggon Train. This unit proved more durable, being downsized after the end of the Napoleonic Wars (1803-1815) but only fully disbanded in 1833. 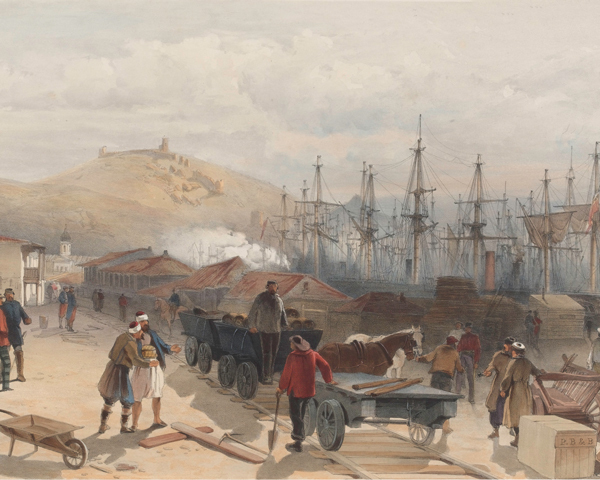 The shortcomings of the supply chains during the early stages of the Crimean War (1854-56), and the ensuing public outrage, persuaded the Army to set up a new supply unit in 1855. This was known as the Land Transport Corps, before changing its name to the Military Train. Army supply overall, however, was still in the hands of a unit of uniformed civilians known as the Commissariat. In 1869, this merged with the Military Train’s officers to form the Control Department. The Military Train thereby became a unit solely composed of other ranks who were commanded by officers from the Control Department. 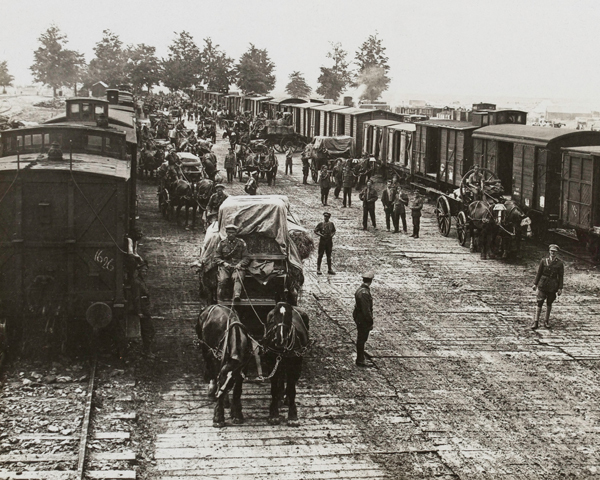 In 1870, the Military Train was renamed the Army Service Corps. In 1875, the Control Department split into the Commissariat and Transport Department (CTD) and the Ordnance Store Department (OSD), the latter forming the predecessor to the Royal Army Ordnance Corps. In 1880, the CTD was renamed the Commissariat and Transport Staff (CTS), while the Army Service Corps became the Commissariat and Transport Corps (CTC). In 1888, the CTS, the CTC and the War Department Fleet merged to form a new Army Service Corps, bringing officers and other ranks back together into one unit. That unit went on to absorb some of the Royal Engineers’ transport duties. In recognition of its major undertakings in supplying troops during the First World War (1914-18), it was given the honour of a ‘Royal’ prefix. 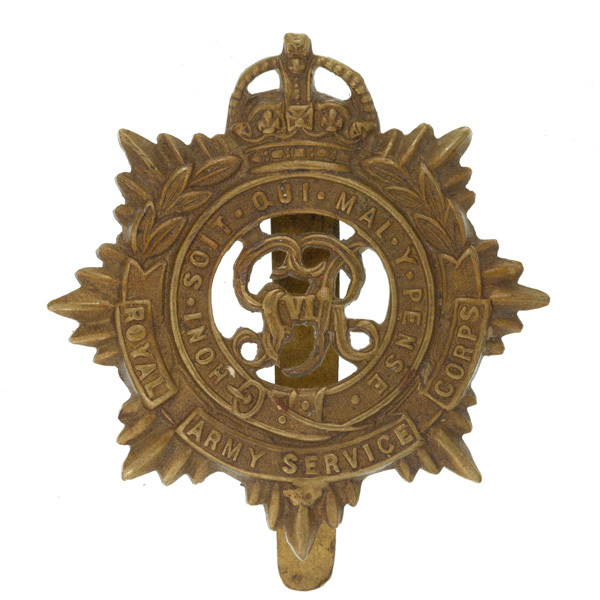 The Royal Army Service Corps (RASC) subsequently went on to serve in all of the Army's operations. How many tons of bread did the British and Imperial forces on the Western Front require a month by November 1918? The millions of soldiers serving in France and Belgium required a vast amount of food, ammunition and equipment. The Army Service Corps, assisted by thousands of Chinese, African and Arab labourers, was responsible for moving this material from the Channel ports and along a supply chain to units at the front. In 1965, the RASC was merged with the Transportation and Movement Control Service of the Royal Engineers to form the Royal Corps of Transport. In 1993, this became part of the Royal Logistic Corps. Explore the history and collections of the Royal Army Service Corps by visiting The Royal Logistic Corps Museum. 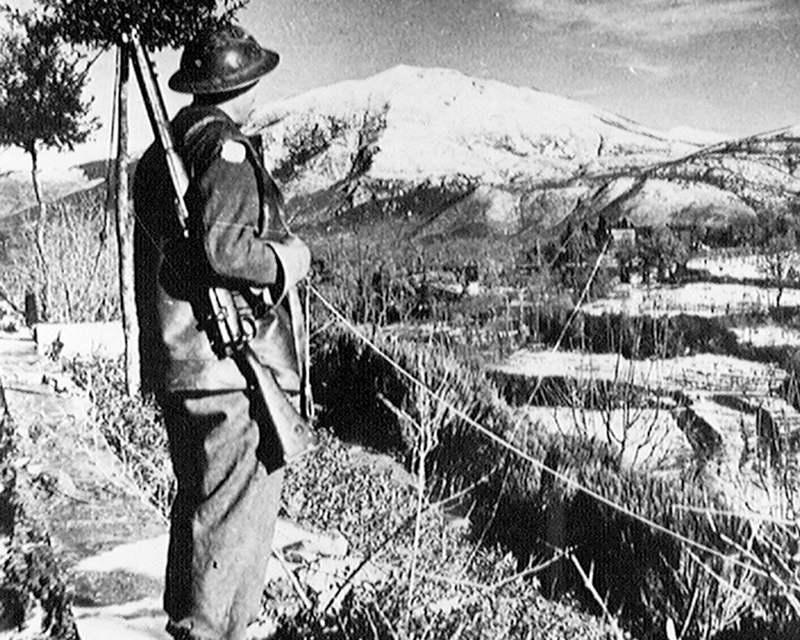 This British Army unit was responsible for educating and instructing soldiers in a range of subjects and skills. In 1992, it became a branch of the newly-formed Adjutant General’s Corps.